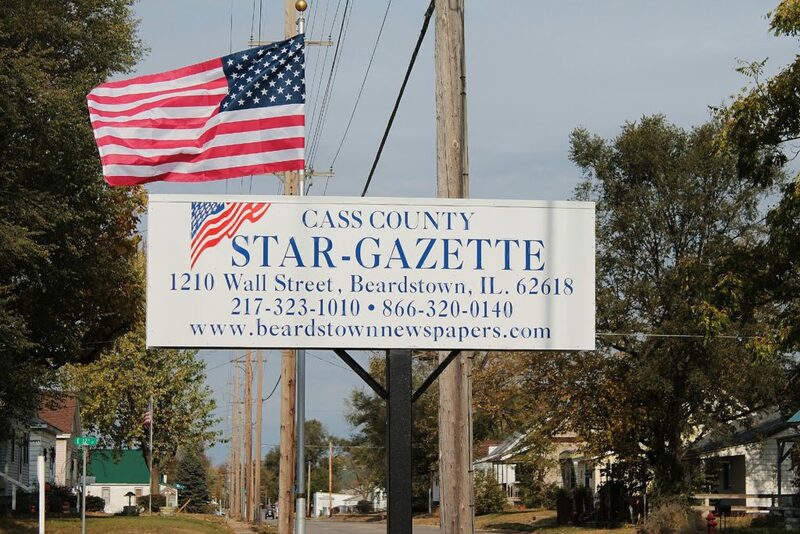 Beardstown Newspapers Inc. publishes two weekly newspapers: The Cass County Star-Gazette – a weekly newspaper serving Cass County with a circulation of 2,550 – and the Star-Gazette Extra, a free weekly shopper publication with a circulation of 10,500. The latter is mailed through U.S. Postal Service to every residence and post office box in the following communities: Ashland, Beardstown, Bluff Springs, Browning, Chandlerville, Frederick, Rushville, Mt. Sterling, Pleasant Plains, Tallula and Virginia.